A VIN (vehicle-identification number) provides a unique identity to your Pontiac, but it serves other purposes, too. The VIN tells you interesting facts about your car. 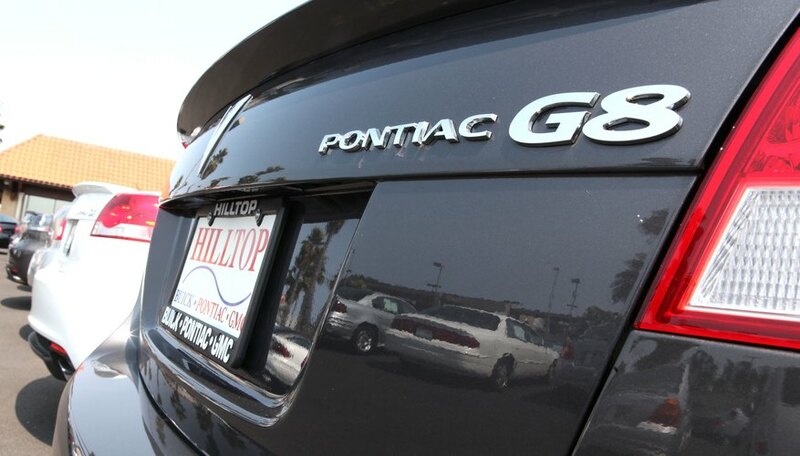 By decoding a VIN you can identify your Pontiac's factory of origin, body-style, and sequential production number. Depending upon your Pontiac's year, you may also identify your original engine manufacturer and size and any body series of your car, such as if it is a Trans Am or GTO. This guide will help you learn how to decode Pontiacs through the 1980 model year. The VIN is located on a small piece of flat, rectangular metal called a "plate." Prior to model year 1968, the VIN plate is located on the driver's side vertical door jamb. From 1968 forward, the VIN plate is located on the driver's side of the dash, viewable through the front windshield. Write down the number and letters in your VIN. If your car is model year 1964 or older, it will have a maximum of 10 digits. If your car is model year 1965 to 1980, it will have 13 digits. The decoding process is not the same for every year, but is the same for a specific range of years. Here are the model years that have separate formats. Look for the letter in the middle of the VIN. This is the code for the factory where your Pontiac was built and is the "dividing" line between information about your car model and your production number. Let's look at the example again, this time isolating the digits before and after the alpha character. 159------This code's meaning varies by year. It can mean the model year of the car or it can mean the number of cylinders of your car's original engine, followed by your car's body series. (159=1959 Pontiac). P----This code tells you what plant your car was built. (P=Pontiac, Michigan). 123456----This is the sequential production number portion of the VIN. Look for the letter in the middle of the VIN sequence. This is the code for the factory where your Pontiac was built and is the "dividing" line between information about your car model and your production number. Let's look at the example again, this time isolating the digits before and after the alpha character. 2------This code is assigned by GM to Pontiac. (Every VIN in these model years will start with the number 2 if it is a Pontiac.) 3367----This code is assigned to each body series. (3367=Firebird.) 9-This is the model year digit, using the last year of the four-digit year. ("9"=1969.) N---This code tells you what plant your Pontiac was built at. (N=Norwalk, Ohio). 123456----This is the sequential production number portion of the VIN. This time we have more than one alpha character in the VIN, so it will help you to know that the code for the factory where your Pontiac was built is in the 7th position (left to right) and it is the "dividing" line between information about your car model and your production number. 2------This code is assigned by GM to Pontiac. (Every VIN in these model years will start with the number 2 if it is a Pontiac.) W----This code identifies your body series (W=Trans Am). 87-This code identifies your body style (87 = two-door coupe). Z-This code identifies your car's original engine (Z=Pontiac 400 engine). N-This code identifies what plant your Pontiac was built at (N=Norwalk, Ohio). 123456----This is the sequential production number portion of the VIN. Now that you understand how your VIN tells you information about your Pontiac, you'll need to use an online VIN decoder or a VIN decoding book that lists all of the possible body styles, body series, manufacturing plants, and engine manufacturers and engine size. Please see the resources section for additional information. Never remove your VIN because it is illegal. Christopher R. Phillip is the senior associate editor for Source Interlink Media. He has 21 years of professional writing experience, with an emphasis in the areas of music, arts and culture, as well as automotive history, motorsports and current trends in the automotive aftermarket field. How to Find Out What Year a Harley Davidson Motor Is?